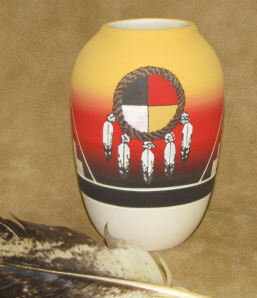 Handpainted by "New Holy", a Native American artist. Size 24,13 cm by 14 cm. 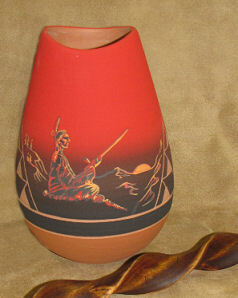 Dorian, a Native American artist, has handpainted this vase with a Medicine Shield.